Minister of State for External Affairs M J Akbar will ring the closing bell at the NASDAQ stock exchange in the heart of the popular Times Square on Monday to mark India's 70th Independence Day. 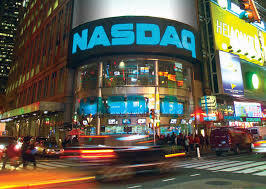 Akbar will visit the Nasdaq MarketSite and would be joined by India's Consul General in the city Riva Ganguly Das to ring the closing bell late afternoon at the second-largest exchange in the world by market capitalisation, behind only the New York Stock Exchange. India's Independence Day has been marked annually at NASDAQ for several years now with Consul Generals and visiting dignitaries being invited by the stock exchange to ring the ceremonial opening and closing bells. Akbar will take part in various Independence Day celebrations in the city, beginning with a flag-hoisting ceremony at the Indian Consulate. After participating in the closing bell ceremony at NASDAQ, he will attend the Independence Day celebrations at the United Nations headquarters, where the highlight is a concert by Oscar-winning composer A R Rahman and a photo exhibition commemorating the birth centenary of India's carnatic music legend M S Subbulakshmi. India's Independence Day is being celebrated with great pomp and show at the world body's headquarters this year as Rahman will enthrall UN diplomats and dignitaries at the special concert in the UN General Assembly hall. Rahman will be only the second Indian artist after Subbulakshmi to perform at the iconic UN hall, which is the usual platform for global leaders to address the world.